Whether you’re applying a pesticide to a conventional agricultural crop or to cannabis, the same concepts must be considered to help ensure the application is performed in a safe manner for the applicator, the public and the environment. Here are 15 tips to avoid putting your employees, and your license, at risk when applying pesticides. 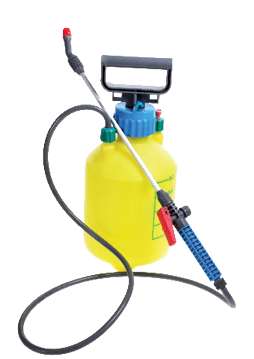 Is a Pesticide Application Needed? 1. Establish an action threshold. An action threshold is the point at which the pest population becomes so great that corrective action must be taken. Seeing one insect doesn’t always indicate a pesticide application is necessary. 2. Take time to identify and understand the pest’s life cycle and habits. Understanding a pest’s biology could allow you to control a pest issue by simply modifying the environment. 3. Implement cultural practices to proactively prevent pest issues, such as removing plants before pests spread, clean room practices, regular scouting, etc. 4. Once it’s determined a pesticide application is needed, identify the least toxic product that will accomplish your goals. Ingredients: Active ingredient(s) in the product. Signal word: The signal word will be one of the following: Caution, Warning, Danger or Danger with skull and crossbones. These indicate the product's toxicity level. First aid: Information on what to do if the product gets in your eyes, mouth or lungs, or on your skin. Precautionary statements: Listed hazards that exist to humans, domestic animals and the environment if exposed to the product. This section provides specific restrictions to prevent exposures. Personal protective equipment (PPE): Safety equipment that must be worn when mixing, loading and applying the product. Directions for use: How and where the product can be applied, at what rates it can be mixed and other restrictions. 6. Be sure you’ve met all federal Worker Protection Standards (WPS). Cannabis is an agricultural crop; therefore, the WPS applies to certain applications. 7. Choose product formulations and application methods least likely to lead to exposure. 8. Mix pesticides in well-ventilated areas. 9. Mix only what is needed to avoid storing or disposing of excess pesticides. 10. Never dispose of unused pesticides down the drain. 11. Be prepared for spills. Have paper towels, kitty litter, garbage bags and non-absorbent gloves on hand and easily accessible. 12. Review the first-aid instructions on the label before use.Understand the warning signs of a pesticide exposure and have the number for the Poison Control Center (1-800-222-1222) available. 13. Make sure the area is well ventilated when spraying indoors. This is especially important in cannabis facilities that have been converted from warehouses (which might not have been equipped with ventilation) to grow facilities. Having air scrubbers or portable air movers on hand can help ensure areas are ventilated properly and in accordance with the WPS. 14. Use the correct mixture rates intended for use on agricultural commodities. Do not use the “non-crop” rates listed on the pesticide label. 15. Always wash your hands after using pesticides, especially before smoking or eating. John Scott is the pesticide section chief for the Colorado Department of Agriculture. His responsibilities include legislative and rule development for the pesticide registration, pesticide applicator certification and licensure and enforcement programs, as well as policy development, grants and reporting for the Pesticides Program.